Bootstrap Business: What Factors Should Influence Your Apartment Shopping? What Factors Should Influence Your Apartment Shopping? With a wide range of different apartment types coming up across the country, most potential owners are having a difficult time deciding what they want. Apartment living has a number of benefits including low maintenance costs, opportunities of socializing, high chances of living as a part of a community, short distances from shops and pharmacies and an active life for pets. The luxury apartment ranges across Norman, Oklahoma, is bringing forth luxurious living that was unforeseen here. These apartments come fully-furnished along with beds, wardrobes, dressers, mirrors, hot/cold water lines, HVAC systems, electric wiring and lighting fixtures and everything else a household needs. Many luxury apartment complexes in the state now provide fully-furnished modular kitchens with functioning ovens, and oven tops. Take the apartments Falls Brook Haven for example. Will your unit have a significant annual owner’s corporation fee? How much should that be? Is there a way to find out how much that will be? Of course! Request to check the minutes of the previous corporation meetings and financials. Apart from the annual fees, you should find out if there are any pending capital work on the building. Are you a quiet person, who loves his or her privacy? Or, do you love to live up your weekends with parties and friends? Depending on your preferences, you should check out homes with noise level listings. Some apartments are perfect for those, who love tranquility. For example – apartments inside complexes far away from the main road and above the humdrum of traffic. If you don't mind traffic noises, it might be easy for you to find a living space bang in the center of the city. We have seen so many "luxury" apartment complexes that don't have a car park of their own. It makes little sense to pay hundreds of dollars as annual owner's fees when your apartment building does not even have space for your precious ride. Keeping your car on the street can not only attract parking violation tickets, but it can also attract burglars and carjackers. Always look for designated car parks for the apartment owners. Even when you are not buying a fully-furnished luxury pad, you have the right to have running water and electricity in the place. These are essential amenities that most new apartments should provide. Always ensure that the apartment you are checking has working electric wiring and hot water lines. However, since constructors install these last, you can only find them when the construction is complete and ready to sell. Apart from these four basic points, remember to check for new planned developments nearby that can affect the price of the real estate. When you are investing in a new apartment in the Norman area, you should make sure that its real estate value rises in the upcoming decade. I hope you enjoyed this blog post about the major factors that should influence your apartment shopping experience. 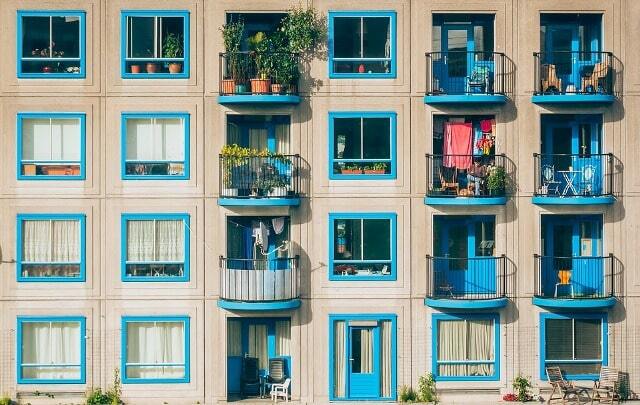 Interested in more articles about apartments and real estate?